Keeping your property safe and protected is at the top of most homeowners’ list of priorities. Installing a fence to give you some privacy, keep intruders out and your loved ones safe inside, is a great way to add an extra level of security and improve the aesthetic of your home. 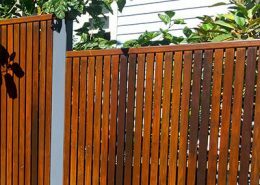 Timber fencing in particular, can add a whole new dimension to the overall look and feel of your home and make it stand out from others on your street. If you live in a more natural or rural setting, timber fencing will fit in perfectly with your surroundings and help you to blend into the environment seamlessly. 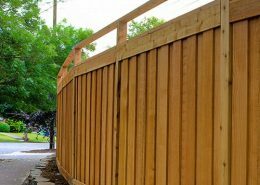 Continue reading to learn more about the benefits of timber fencing and why this type of fencing is a great addition to any home. A timber fence not only looks great, it also fits in effortlessly with your surroundings, particularly if you live in a rural area. You might not get this same effect with a fence made out of other materials such as steel. With timber fencing, you have the added advantage of flexibility as you can build your timber fence as high or as low you want, depending on your needs. If you want extra privacy you can build a taller fence or for complete privacy, a solid timber fence. If you simply want to indicate your property’s boundaries, added height may not be a priority. On the other hand, you might be looking at installing something a little more timeless and attractive, so you go for the classic picket fence. You as the customer can decide exactly what you want to suit your home and property. When it comes to installation, timber fencing is quick and easily customisable to suit your needs. As timber fencing is installed piece by piece, this makes it extremely easy to repair in the event of damage. If just one picket or stake has become damaged during a storm, it can easily be replaced. There’s no need to take the whole fence down to do this, as you may have to with fences made from other materials. As a result, the cost of repairing a damaged timber fence is lower as you need only replace the one damaged or broken part of the fence. Timber fencing is more affordable than steel fencing so it’s a great option if you have a limited budget. You can go with either a plain timber fence or you can go for something a little more decorative. Even if you want a more elaborate design, with a timber fence it won’t blow your budget. Timber fencing is environmentally sustainable as the trees used to harvest the wood can be replanted and regrown. Any wood that gets damaged and needs to be replaced in your timber fencing need not go to waste as it can easily be re-used if you have a backyard fire-pit, log fire or wood-burning stove, saving you money on firewood. The benefits of timber fencing are numerous; cost-effectiveness, flexibility, ease of maintenance and repair, and sustainable are simply a few. With a wide variety of styles and designs to choose from, you are sure to find one that suits your tastes and requirements while also increasing the value and curb appeal of your home.